The UK’s premier distributor of Astronomical Telescopes, Birdwatching Binoculars, Binoculars for Astronomy, Spotting Scopes, Brass Telescopes, Tripods, Monoculars & Microscopes, Astronomical and Telescope Accessories under the well-known and highly respected Sky-Watcher, Sky-Watcher PRO-SERIES, TAL, Helios, Acuter, Barr & Stroud, and Zenith brand names. 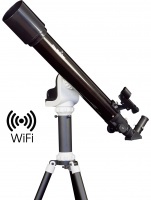 Sky-Watcher is a First-Class market leading brand of Telescopes for Astronomy with models available for astronomers of all ages and abilities. 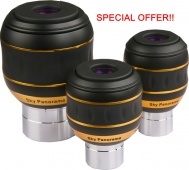 A massive range of Stargazing Telescopes are available, with the following telescope designs:- Newtonian Reflectors, Dobsonians, Maksutov-Cassegrains, Achromatic Refractors & Apochromatic ED Refractors supplied on a variety of Telescope Mountings. If you are interested in astronomy, you will discover a wealth of information on our website. 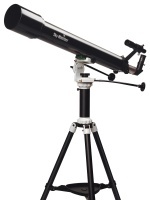 Helpful advice on Telescopes and Astronomy can be found in our Telescope FAQ section. Take time to check out our Astronomy Photo Gallery to see some of the results achieved by satisfied Sky-Watcher customers around the world. 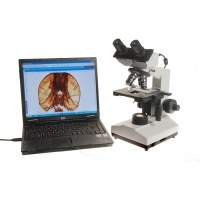 You can also download Magazine Reviews and Instruction Manuals in our Customer Support Section.